To start, determine the future size of the grill. For this standing, bend your elbows as if you are holding the skewers with the barbecue, and remember the height of your brushes. So you get the optimum height of the grill. Calculate the width based on the fact that the kebab in the amount of 6-8 pieces or 20-2 5 is the most optimal. The width, take the range of 30-35 cm Length of the grill in one meter enough to place ten skewers. Depth do one brick – 12cm. Select the location where you will find your grill and dig a hole the size 160х80см and a depth of 60cm. Pour into a pit of sand layer of approximately ten centimeters, make the formwork of plywood. Perform reinforcement of the Foundation with two layers of mesh with a mesh 15х15см. Pour concrete formwork, wait until they dry out. Produce the waterproofing of the Foundation, placing six layers of polyethylene film with a thickness of 200мкм. 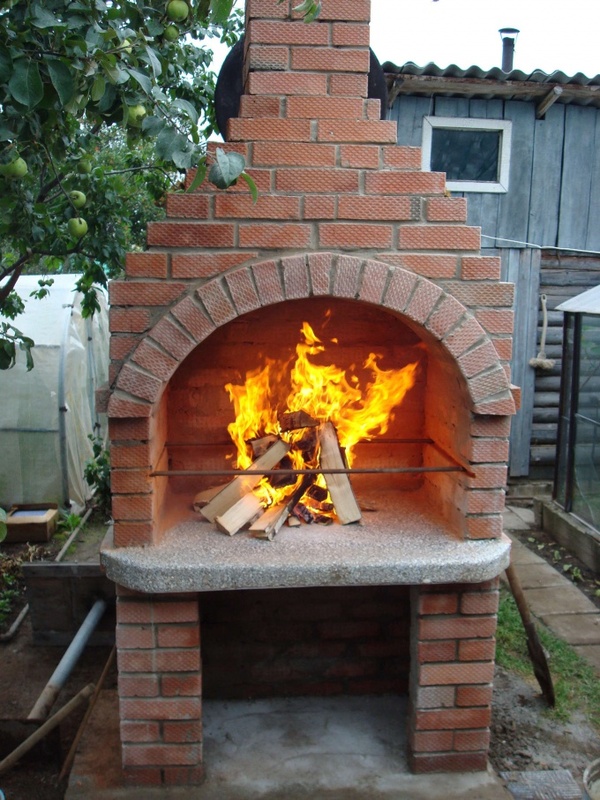 Prepare the bricks for brickwork, use special fire-resistant. When the Foundation dries, lay out the bricks. The shape of the grill define themselves, here is connect your imagination and create any creation to suit your taste. Bricks lay on the cement mixed with the clay. When the grill is practically laid out in the final rows, leave the place where you will need to install a stainless steel grate. For collective air leave gaps. Prostituate bricks, cover with a waterproof acrylic varnish on a horizontal surface if desired, place the tiles.Don't forget to protect your creation from wind and rain a sheltered location. That soot was not formed, and the BBQ is not smoked, provide the area of the smoke box. Your grill is ready. Call your friends and serve them delicious crispy kebab.